The Editorial Board accepts for publication in „Thought of Peoples” articles, edit source, biographies, interviews, reviews of publications – as a result of research on the contemporary mind of peoples movement, peoples and peasant parties and rural development in Poland and Europe.The volume of texts sent in should not exceed the following: in the case of articles – 1 sheet of publishing – about 40 000 characters with spaces, and in the case of review – 1/3 sheet publishing – about 15 000 characters. We accept and publish articles in Polish and English. Posted at text must be formatted according to the following criteria: main text – TNR font 12, 1.5 spacing versa; footnotes – TNR 10 font, single line spacing in Word or another word processor. – from the archives: State Archive in Płock, Płock County Office files in 1918-1939, ref. 64, List of associations and unions operating in the district of Plock. – from the book author: A. Indraszczyk, Adam Bien (1899-1998). Social and political activity, Publishing House ASPRA-JR, Museum of the Polish Peasant Movement, Warsaw 2005, p. 122. – from an article in a collective work of A. Chmielarz, Fight for Silesia in 1918 and 1919 [in] The Polish-Czech-Slovak 1918-2005, edited by Janusz Gmitruk and Andrew Stawarz, Museum of the Polish Peasant Movement, Warsaw 2006, p. 23. – from an article in the journal: W. Wolin, Memory’s islands, „Sea Year” No. 22, 2001, p. 4. 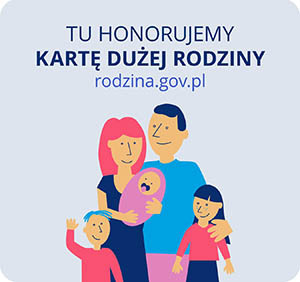 In the text must be accompanied by a list of keywords, abstract – to 2500 characters without spaces in Polish and English, for texts in English, a list of words and abstract in English only. In the text must be accompanied by the following information about the author: name, degree or academic title, place of work (for graduate students who do not work at universities or research institutions – please indicate where it is a PhD student – what department, what universities), short information about the research or research interests. Full address, contact telephone number and email address. After receiving the text, send it to editorial review. Once you have received the Editorial Board decides to adopt the text for printing or to reject it, and shall notify the author. The text is addressed to the editorial process. Editorial staff does not send unsolicited texts. Editors do not pay royalties.